I worked for 9 months at the ITS department of my university. 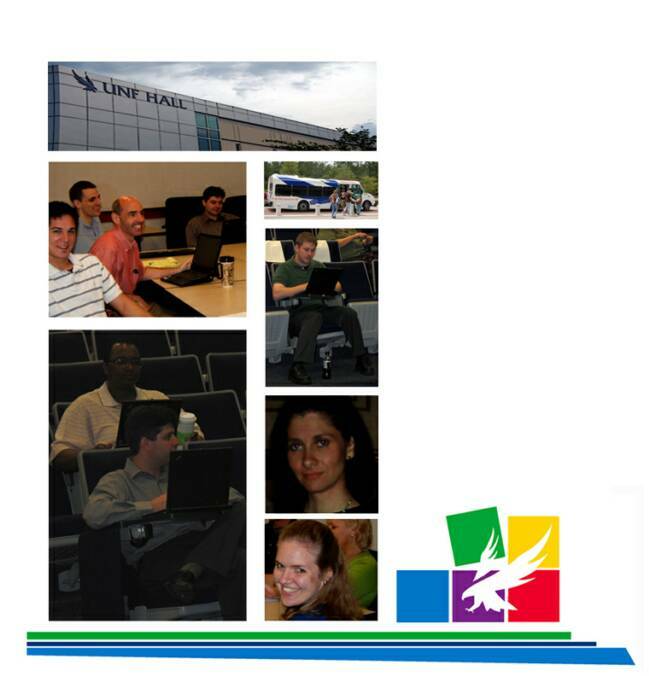 I helped in creating content pages for our new digital UNF Academic Catalog 2009-2010. I created the photo banners and uploaded the HTML information to all the pages on the Graduate & Undergraduate section using CMS (Content Management System), which is the system my university is implementing on their new website. 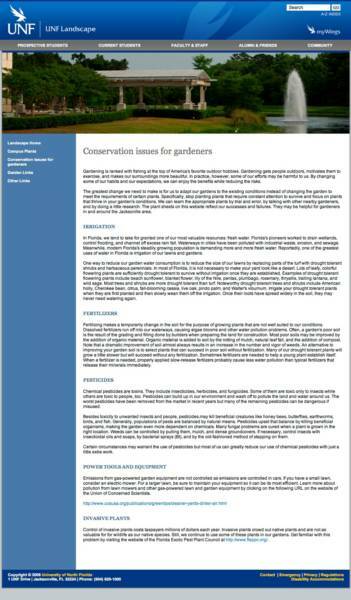 Also, after revision and editing of all its pages by each department staff, I did a final HTML clean up to all pages to reinforce format and layout consistency. Working at ITS one of the things I enjoyed the most, was the chance to learn about new topics and reinforce the knowledge base I have acquired on my own. I created a website to present to my ITS team and I named it: The CMS Layout ResearchI learned about statistics and the main areas web developers focus when studying the market. 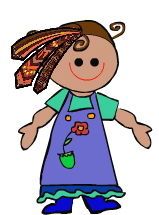 It helped me to focus on what is important when designing a webpage. Another of the nice things about building pages in CMS is the fact that I have had the opportunity to take photos to add to the pages as banners and as content images. These are some of the banners I've created. 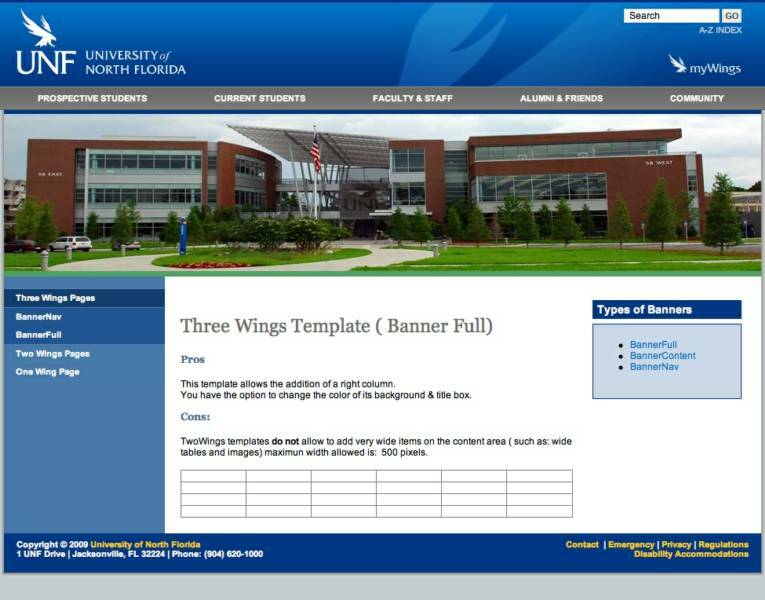 The below pages were created as a part of a Web Gallery that explains the different options ( Pros & Cons) of the UNF templates available: "2 & 3 Wings". 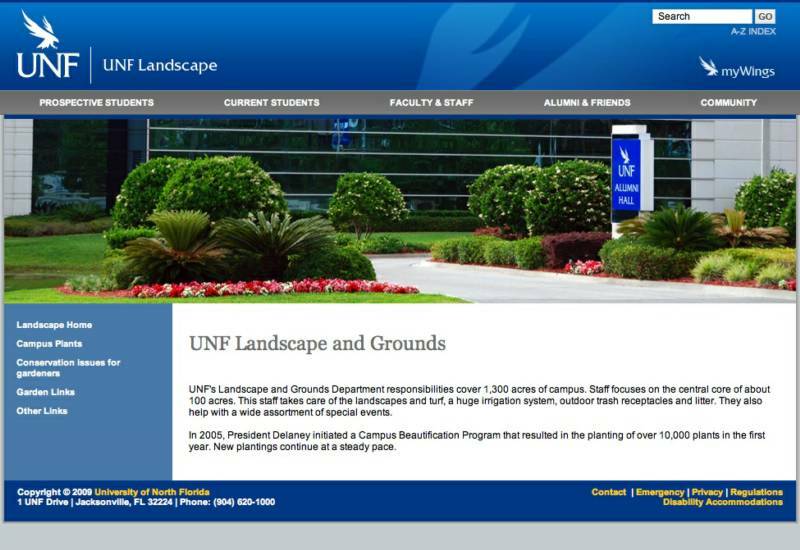 Scroll down to see some of the photos I took for the UNF site. 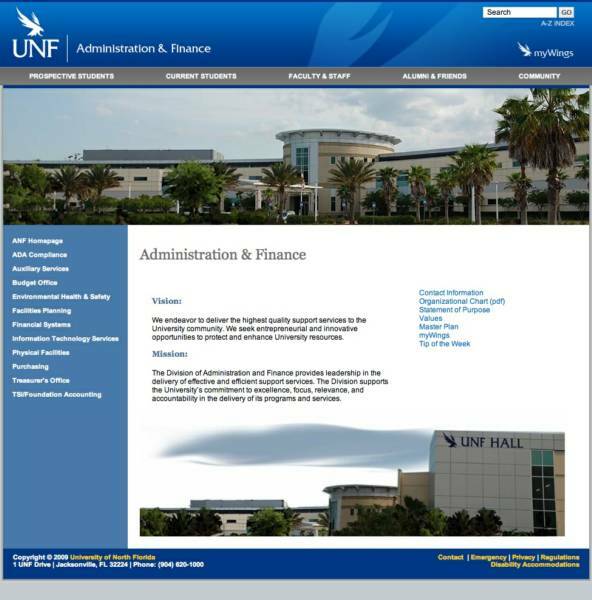 I was involved in other UNF projects such as the creation of a flash banner for the "Transformation Campaign" and the CSS design of the banners.for the 2009-2010 digital catalog. 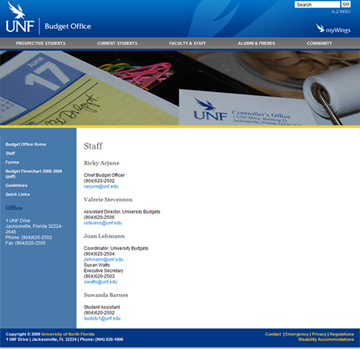 My favorite assignment was helping to migrate pages of the Administration & Finance (ANF) department since I had the chance to take "theme pictures"
Below are some screen shots of some of the Banners and content blocks I've done. This is the whole group at ITS.